My research focuses on combining bio-instructive biomaterials with cells to design 3D tissue-engineered platforms for regenerative medicine, disease modeling, improved predictability of therapeutic outcomes, and as translatable technologies for clinic and industry. Projects aim to: 1) design physiologically relevant microenvironments for single and multi-tissue restoration and reintegration, 2) recreate biophysical and biochemical regulation of signaling pathways for mechanistic study of diseased tissue development, progression, interactions, and therapeutic response, and 3) adapt and/or create platforms for use in high-throughput and high-content screening of functional outcomes for improved validation and efficacy studies. For my Ph.D., I applied biodesign and standardization principles in the development of collagen polymers to create tunable extracellular matrices (ECMs) to study and characterize matrix biophysical properties and their effects on vessel morphogenesis in vitro. My work culminated with a 3D vasculogenesis model that demonstrated how the interplay between type I collagen-fibril structure and matrix stiffness can be used to guide lumenized vessel formation and stabilization by endothelial precursors. This in vitro model now serves as a platform to: 1) identify key molecules involved in matrix-integrin-cytoskeleton signaling, 2) study mechanotransduction mechanisms that drive specific vascularization events, and 2) determine the relevant inputs and outputs needed to inform computational models of 3D collagen matrix microstructure and vasculogenesis for improved experimental efficiency and outcome prediction. As a postdoctoral researcher working jointly between the pharmaceutical industry and an academic laboratory, I worked to pursue innovative oncology research and increase the predictive power and efficacy of preclinical models of tumor growth, progression, and drug resistance. I combined my perspective and skills related to cell-ECM interactions and 3D tissue culture systems with cancer cell signaling to develop 3D in vitro systems that improved upon current target validation and drug sensitivity testing methods and strategies. To do so, I used: 1) 3D ECM materials, 2) high throughput 3D screening platform technologies, and 3) patient derived xenograft tumors as a cell source. In addition, I gained new insight into the ways industrial and academic laboratories can leverage resources and expertise to make progress in translating technologies and therapies. 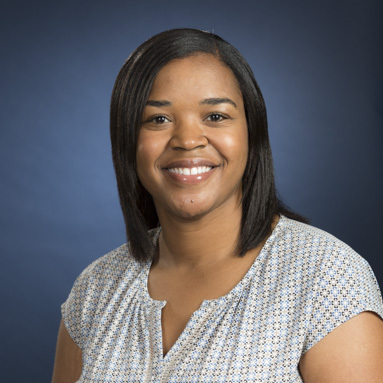 I also enjoy working with students through teaching, mentoring, and training, and have been involved in numerous educational and community outreach initiatives as a student and postdoc. I look forward to integrating these elements into my research and teaching as a professor to train the next generation of scientific investigators. Puls, T.J., Tan, X., Whittington, C.F., Voytik-Harbin, S.L. Novel 3D Tumor-Stromal Model Highlights the Importance of ECM Composition and Biophysical Properties in Pancreatic Cancer EMT and Drug Resistance. Accepted at PloS One, 2017. Park, S.M., Whittington, C., Voytik-Harbin, S.L., Han, B. Microstructural parameter-based modeling for transport properties of collagen matrices. Journal of Biomechanical Engineering, 137(6): epub, Paper No: BIO-14-1479; doi: 10.1115/1.4029920, 2015. Richardson, M.R., Robbins, E.P., Vemula, S., Critser, P.J., Whittington, C., Voytik-Harbin, S.L., Yoder, M.C. Angiopoietin-like protein 2 regulates endothelial colony forming cell vasculogenesis. Angiogenesis, 7(3):675-83, 2014. Whittington, C.F., Yoder, M.C., Voytik-Harbin, S.L. Collagen-Polymer Guidance of Vessel Network Formation and Stabilization by Endothelial Colony Forming Cells In Vitro. Macromolecular Bioscience, 13(9): 1135-1149, 2013. Whittington, C.F., Brandner, E., Teo, K.Y., Han, B., Nauman, E., Voytik-Harbin, S.L. Oligomers Modulate Interfibril Branching and Mass Transport Properties of Collagen Matrices. Microscopy and Microanalysis, 19(5): 1323-1333, 2013. Monteleon, C.L., Sedgwick, A., Hartsell, A., Dai, M., Whittington, C., Voytik-Harbin, S., D’Souza-Schorey, C. Establishing epithelial glandular polarity: interlinked roles for ARF6, Rac1, and the matrix microenvironment. Mol. Biol. Cell, 23(23): 4495-4505, 2012.